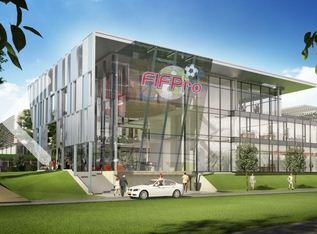 FIFPro, de Federation Internationale des Footballeurs Professionnels, swaps their current premises to become owners of their own office at Park 20|20 on 12 12 2012. It is the location as well its ambiance that has made FIFPro so enthusiastic about Park 20|20. FIFPro is the worldwide representative organization for all professional players. FIFPro exists since 1965 and currently has 43 members, 8 candidate members and 5 observers. The football unions federation represents more than 60,000 professional footballers worldwide as well as national unions such as in the Netherlands de Vereniging van Contractspelers (VVCS). In addition it works in close contact with FIFA, UEFA and the European Commission. Where the interests of players are concerned (with regard to legal, political or labour issues), they rely on FIFPro to defend their interests. At Park 20|20 FIFPro’s activities can be carried out at a top location which reflect the high quality of the organisation; facilities include an auditorium for press conferences, seminars and conferences.“As we became more involved in the project, our enthusiasm grew. 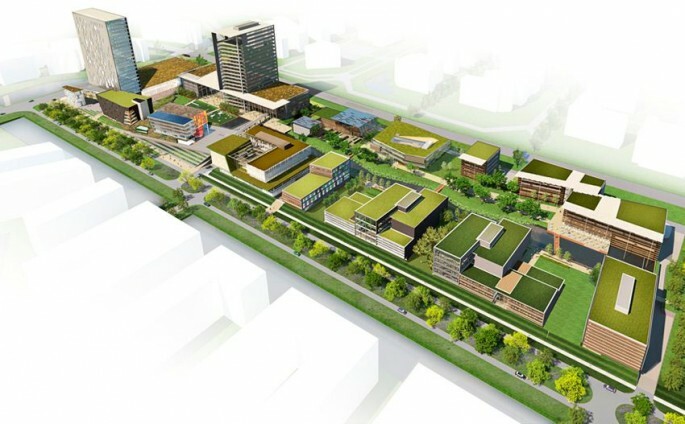 We met with the underlying philosophy of sustainability, the conscious and informed choice for green, water and facilities in the direct vicinity. The special character of the design has been made to measure for us. With the challenge to attractively combine living and working, it is clear the Park 20|20 is a business park with high ambitions’’.